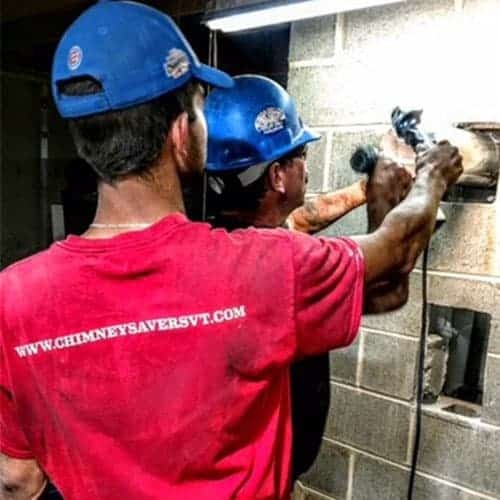 Our chimney service technicians regularly reline flues with stainless steel because of its durability and versatility. 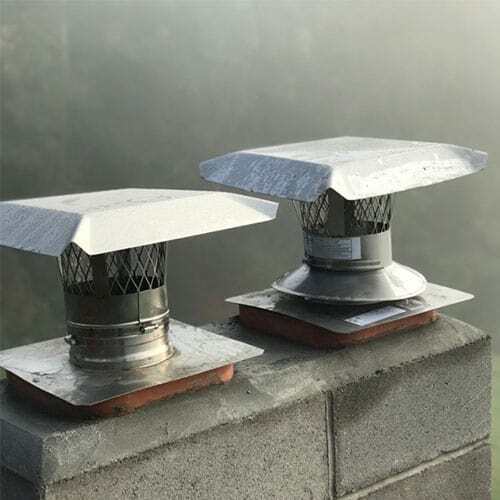 Stainless steel chimney liners can be used to vent wood, pellet, gas, and oil appliances. Stainless steel liners also come in a variety of shapes and sizes to fit virtually any chimney system. Do stainless steel chimney liners have a lifetime warranty? All of the stainless steel chimney liners we install have the highest quality UL-listed stainless steel and come with a Lifetime Warranty from the manufacturer. Are all stainless steel liners made of the same materials? No. Stainless steel chimney liners come in three major alloys, or metal mixtures, with varying strengths and resistance to corrosion. Different alloys are used to vent different types of appliances. Read more below. 316 – The most common alloy for stainless steel chimney liners is 316. The 316 alloy liner is used for gas and oil appliances because it is resistant to the corrosive elements given off by these appliances. 316 can also be used to vent wood, coal, and pellet appliances. 304 – 304 alloy liners are used for wood and pellet appliances/stoves because it is a less expensive alloy than 316 and can be used when no corrosive gases (i.e., gas and oil) will be vented into it. AL29-4C – Very high-efficiency gas appliances may require the AL29-4C alloy stainless steel chimney liner, which has the highest resistance to corrosion. This is not required for most appliances. Are all stainless steel chimney liners equal in quality? No. Stainless steel chimney liners vary greatly in quality. Higher quality stainless steel liners will last longer, have better draft performance, and are easier to service. Each chimney system should be evaluated for estimated usage (e.g., how many cords of wood you plan to burn in a year) and fuel type (e.g., wood, gas, pellet, etc.). 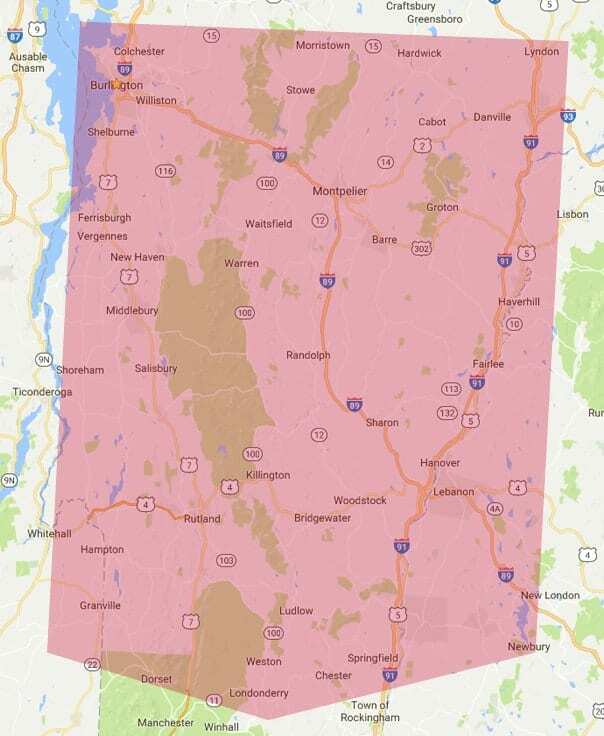 Based on this data we can select the correct type of liner for your system. 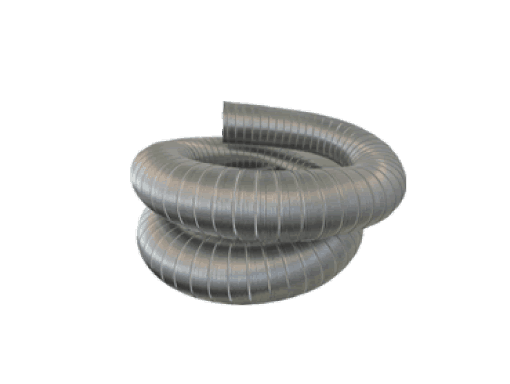 There are two main types of stainless steel chimney liners: rigid and flexible. Within the flexible type, there is heavy wall flex and light wall flex. Click on the images below to learn about the differences between these liner types and see which one might be the best option for your home! Rigid chimney liners are non-flexible, straight pieces of 22-gauge (thickness) stainless steel that most commonly come in 4-foot sections. These sections have male and female ends which are screwed or pop-riveted together giving the liner smooth, snug connections. This type of chimney liner is completely smooth on the inside and will give you a 20% better draft than a corrugated, or light-wall, chimney liner. This is hands-down the most durable stainless steel liner on the market today. It is also easy to clean, and because of the improved draft, it collects less creosote (if used for wood-burning appliances). This option is also much less labor-intensive to install than our Cast-In-Place liner system, making this an ideal chimney liner and Chimney Savers’ favorite to install for wood-burning stoves and furnaces. The major limitation with rigid liners is that they can only be used in straight chimneys flues. Heavy Wall Flex is a flexible yet heavy-duty, 4-ply stainless steel chimney liner. 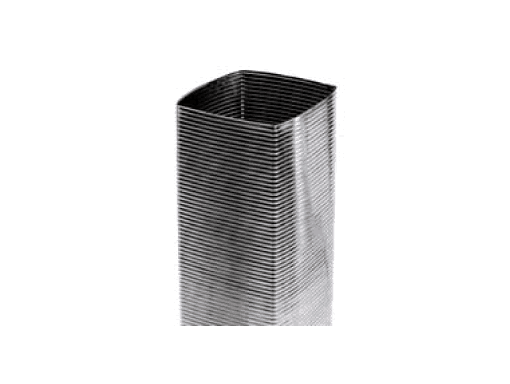 This type of chimney liner is slightly corrugated to allow the metal to bend, but the inside is significantly smoother than “light wall” corrugated chimney liners (link). The smoother interior of the heavy wall means that it will give you a 15-20% better draft than light wall corrugated liners. 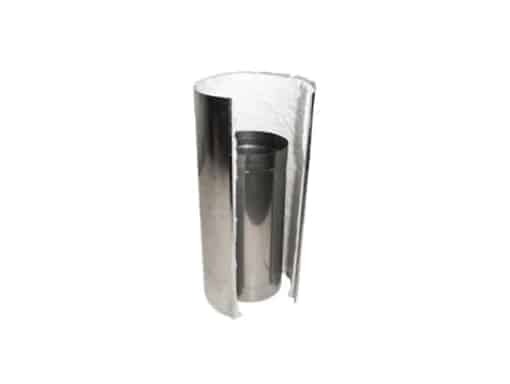 This chimney liner is ideal for venting woodstoves and fireplace inserts that have bends in the flue because of its combined flexibility and superior performance. 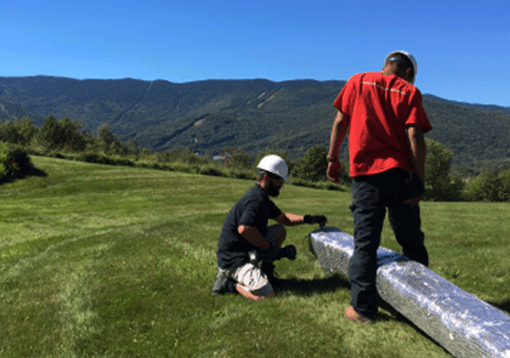 A drawback to using heavy wall is that it is – to state theobvious – much heavier than light wall flex liners, especially after it is wrapped with insulation. Often, we will need to set up scaffolding to install this type of liner, which increases the overall cost of the project. Light Wall Flex – also known as M-flex, Dura-flex, Z-flex, Best-flex, Ultra-Pro and many more names – is a thin, flexible snake-like liner. It is most commonly installed by sliding it down the chimney like a snake until it reaches the bottom where it is connected to the appliance. This type of chimney liner is very popular because it is relatively inexpensive (per foot cost) and it is easy to install, which cuts down on labor costs. However, this type of liner is prone to creosote build-up because of its corrugated interior (which causes more turbulence of flue gases and thus collects more creosote). In addition, there are durability issues. Because the light wall material is so thin, if it is ever plugged (e.g., by creosote or nesting animals) it can be damaged by a chimney sweep trying to clear the blockage. Bending this type of liner around a metal damper can also be hazardous; because of the lightweight material, the metal-on-metal contact can rip through the chimney liner over time.